Give wings to your toys. Hand in hand to spread smiles! To bring a smile to the faces of children around the world. We collect used and new toys from all over the world to distribute them inside refugee camps, orphanages, children’s villages and pediatrichospitals. The initiative was launched in 2015 from Dubai and it has been registered since with UAE Red Crescent. We have chapters all over the Middle East, North Africa and Europe. Tens of volunteers work hand in hand to fulfill our mission to draw smiles on the faces of the children. We are proud to have received support from various organizations and government entities. 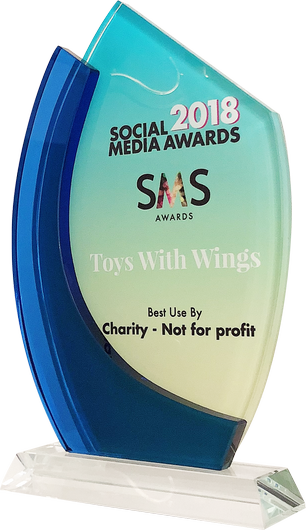 Toys With Wings was honored by Sheikh Sultan bin Ahmed Al Qasimi, Chairman of the Sharjah Media Council, Dubai Police and Abu Dhabi Chamber. 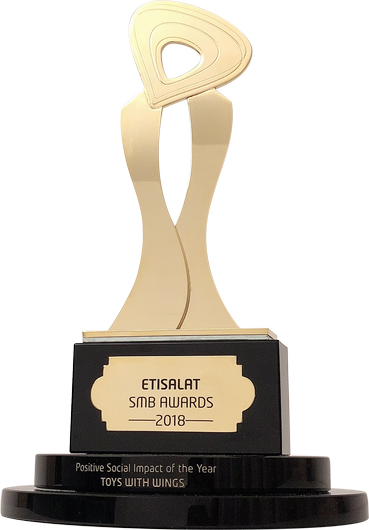 In addition to receiving awards from 'Social Media Summit & Awards and Etisalat SMB Awards'. Over 220,000 toys were distributed in 14 countries...and counting! Imagine if your child’s unwanted toy can travel miles away to draw a smile on another child’s face.